Key partners of this year’s Dubai Summer Surprises (DSS) have reported an upswing in business at the halfway mark of the region’s most popular summer retail event. The 20th edition of DSS 2017, which started on July 1 and runs until August 12, has seen retail outlets and shopping malls witness stronger sales and footfall than in 2016. Italian-themed mall Mercato has registered a 20 percent increase in footfall and 15-20 percent increase in sales during the first half of DSS 2017, while waterside complex, Dubai Festival City (DFC), witnessed a 16 percent hike in footfall in the first week of the event, compared to the same period during last year’s event. “Visitors have flocked to the mall to take part in our activities,” confirmed Steven Cleaver, director of shopping malls, DFC. 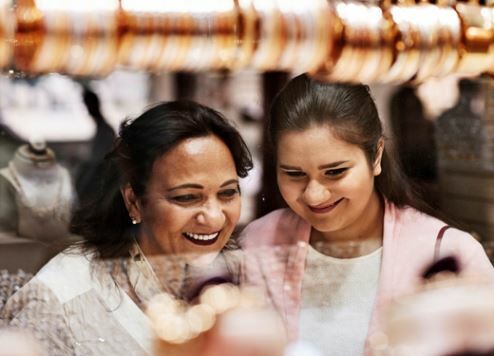 Luxury retailer Paris Gallery reported a 10 percent increase in sales at its outlets across Dubai, while beauty retailer Wojooh has doubled its sales during its new DSS initiative, ‘Friday Surprise’. Friday Surprise offers shoppers an amazing deal on an exclusive product at a specified shopping location each Friday throughout DSS. It has driven a staggering 190 percent surge in footfall to its stores each time. Saeed Mohammad Measam Al Falasi, executive director, Retail and Strategic Alliances, DFRE, Dubai Festivals and Retail Establishment (DFRE), an agency of the Department of Tourism and Commerce Marketing (Dubai Tourism), and the organiser of DSS, said: “Having reached its milestone 20th edition, Dubai Summer Surprises continues to further enhance Dubai’s position as the summer destination of choice. At its halfway mark, DSS 2017 has led to an upswing in business with Dubai’s retailers in particular reaping rich dividends following an influx of visitors during this period.